Paradise in Palmira! This magnificent residence is graced by soaring ceilings and a grand entryway leading into sprawling entertainment spaces that flow outside to the large lanai featuring a pool/spa and gorgeous lake/golf course views! Enjoy the tranquil setting entertaining or just relaxing. Designed by Arthur Ruttenberg, this estate is a masterpiece of craftsmanship and design. The oversize kitchen features a breakfast room with pool and lake views! 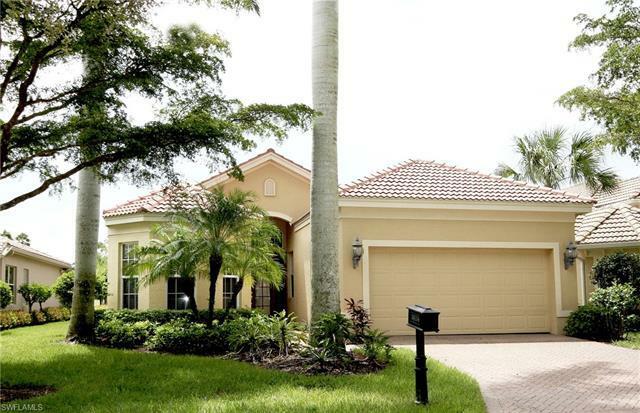 Move right in and begin enjoying the Palmira lifestyle as this home is being sold furnished. Home ownership at Palmira includes membership in the Renaissance Center Club-spectacular sports, fitness and social facility that provides a 2, 800 sq. ft. heated lagoon-style swimming pool with walk-in entry, waterfall and whirlpool spa and a 75 ft. Olympic lap pool for avid swimmers, a poolside village grille restaurant and tiki bar. State of the art fitness facility with the latest equipment and certified staff. Seven lighted Hydro-grid clay tennis courts with pro shop and a very active social events calendar.